The Grocery Game Challenge Aug 20-Aug 26, 2012~Stick To The Grocery Budget! The Grocery Game Challenge this month has shown us how much work it can be when feeding more than 2 people in a household. A grocery budget for 4 is much more challenging than a grocery budget for 2 when shopping for food on a budget. Making lunches has challenged us as we have had to buy grocery items we never buy such as granola bars, luncheon meats and cheese slices just to name a few. Although we have had coupons for most grocery items at times we have had to find the best deal we could simply by knowing our prices. An example would be this weeks Bologna for $1.89 as that is what’s been requested for lunches and that was the best deal we could find. Overall we feel we are on track playing this months grocery game given the increased mouths to feed and only being over budget so far by $32.64. How well do you cope with your grocery budget when you have more mouths to feed than normal for an extended period? Do you tend to have a stash of frugal recipes ready to cook? 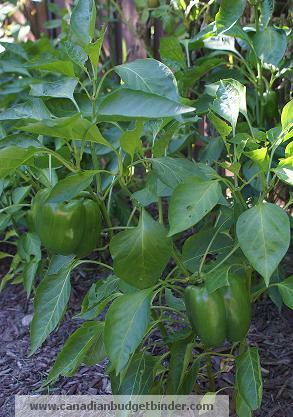 Shopping for this week was minimal especially with having peppers and tomatoes in the garden ready to eat. Mrs. CBB was in Shoppers Drug Mart and hit up the reduced rack to find some great Christmas Stocking Stuffer’s. 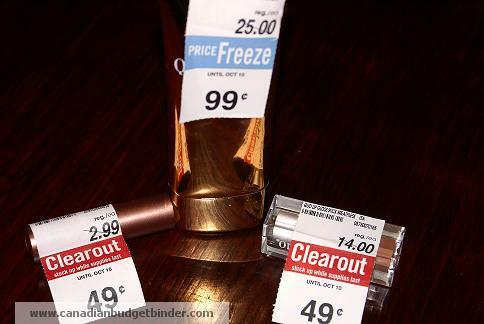 As you will see the discounts were hard to pass up $0.49 for lipstick by QUO Reg Price $14.99. They might as well of handed it to us for free at that price. We also were lucky enough to get some free boxes of cereal and are very tempted to go back and get more. We knew the Cheerios were $1.88 at Food Basics this week as per the flyer but what we didn’t know was that All-Bran Flakes were part of that special. If you recall last month we picked up Save $2.00 on ANY All Bran product from our Doctor’s Office so they actually paid us to take the cereal from the store $0.12 a box. Here’s our Weekly Grocery Game Challenge Shop… Don’t be afraid to offer advice to us as we are trying to stick to our grocery budget just like the next person. If you can help us out please do as we are all here playing and posting our grocery game shops to learn from each other how to stick to the grocery budget! Here are your weekly coupon match-ups Aug 17-23, 2012 from Save Big Live Better. Big Thanks to Julia for doing this each week! Total Spent So Far for August: $85.24+$118.37 +$19.03= $222.64($32.64) Over budget this month so far. Are you playing our food shopping game? Here are The Grocery Game Challenge Rules.- You can start any time of the month and post all month-long even if your weeks don’t coincide with mine. It’s all about tracking! 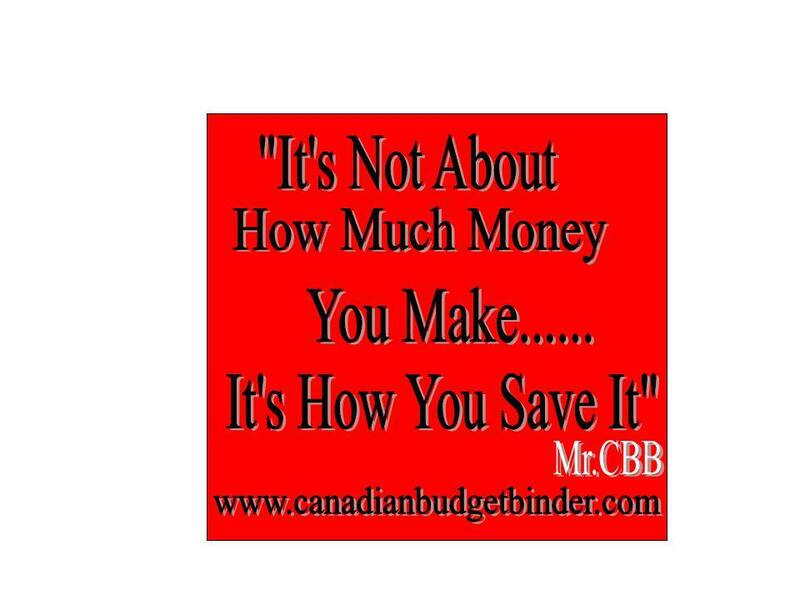 You can also subscribe to Canadian Budget Binder so you don’t miss a blog post. It will come straight to your email inbox. 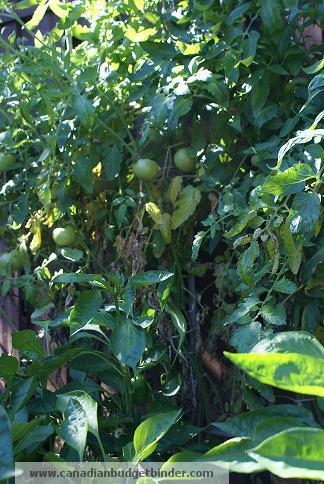 Wish more people would grow their own veggies and fruit and really enjoy their fruits of their labour and the lower impact on the enivorment! Now our weekly budget is $100 for food, cleaners and haba products. Shoppers-my husband was sick with a bad cold and I had none of these products in the medicine cabinet or coupons for!!!! horray for being under budget!!!!!!!!!!!!!!!! Shocking how much cough medicine can be out of season. We pick up a couple items and stock them if we can as one of us are bound to get sick at some point in the year. Our garden is finally ready to eat but oddly enough like I mentioned in this weeks grocery game we bought tomatoes and the next day they turned red.. haha.. I guess that’s the way it goes. Is it wrong that I had a tomato salad for breakfast today lol. We have lots now. Was the beef on sale or reduced.. wow that was a great buy. Is this your final shop for the month or do you have one more? We are over budget this month… 🙁 but we had 4 mouths to feed… so not so bad I guess. The last grocery game for the month of August is now up. We went over this month as well Mary but no surprise given there was 5 weeks of shopping. We are the same as you where next month the shopping won’t be as big or we can cut back as we have enough stuff in the house to get us by.I was saying to another grocery game poster that we are going to try and use what we have in the house to eat up before we start buying more food. If it’s a great deal to stockpile that’s a different story but we will try and make meals around what we have. How much do you typically spend in one year on groceries for 2? Last year we spent just over $5000 using over 5k in coupons. That is why we cut back so much, just buying way too much even using coupons. My grocery budget for the week is $92.31 for 2 adults and 1 child and includes all food, household items, personal hygiene items etc. Have done really well this month. Just been using a fair amount of food I aleady had plus had a week and a half with one less adult mouth to feed, and had 3 family gatherings where dinner was provided and I didn’t have to bring anything Next month will be a different story as I will have to go back to making my daughter lunch and snacks for school, for July and August the daycare she goes to has been feeding her (at no additional cost to me). I think you nailed it. We need to start using what we already have instead of buying more and more. This is what we are trying to do now until December unless it is items we can stockpile. We really need to start using items we have in the house. We are cutting back significantly and want to eat very healthy now. That salsa you bought, tomatoes are so cheap right now.. load up on them, chop them small, add some fresh garlic, olive oil, fresh basil, chopped red onion, salt and pepper and dip your baked pita pieces in it.. YUM! We buy pita and put it in the oven to make it crispy then break it up to dip! So good! Thanks for posting your awesome shop.. way to go this month. DO you have any goals for your grocery budget, now until the end of the year? My weekly budget is $100 for 2 adults and a 21 month old toddler. This budget includes items such as health/beauty, cleaning and baby items. I’m a bit behind on commenting but you did very well this month. I know many people would love to have those discounts you get, so you are very lucky. What is sudocreme? I have no idea. You did well at WM. I never did find those Nexxus coupons as the tear pad coupon clan took them all from our city in one swoop. You get ballot #15… You must be proud of your accomplishments Jen, I know I am. We have been eating alot of pasta dishes since I bought OOOdles when it was on for $1.00 and I had some coupons too. Also last time I was in the states I found lots of canned beans ( kidney, pinto, black etc for .35 a can…..bought LOTS….so I have been making alot of bean dishes….except when we have to go out…..lol. With 3 females ( me and 2 teens) in the house we don t always have meat nighty….in fact we only have it about 3x s a week. They are happy just having breshetta bread ( topping I make from garden) and veggies and dip. I grow alot of veggies and know alot of farmers around that I get additional veggies from to can and freeze…..cuts down on the cost. We have quite a stockpile both on the shelves and in the freezer so I like using old up before the new. Have to look up my beginning of the months receipts……just been too busy. We eat a load of beans, we love them. We don’t always eat meat or we eat very little so the beans bulk out the meals for us. We started to buy dry beans as they cost less but the downside is you have to soak and in some cases boil them. … thanks for your great response. Total Spent this Month $43.88+9.99+69.57+4.69 = $128.13 for 4 weeks => $61.87 left in the budget for the balance of the month. I think I really am going to like the grocery game! I got a box of Kashi cereal and 2 bottles of V8 Splash today for $1.28. Had good coupons. Found you on BFS. Great find! I want to play the grocery game. We are done grocery shopping for the month, but I did have to get cereal and 2 bottles of our beloved V-8 Splash. I had two coupons and a store reward, so the total was $1.28. I’ll really get into it next month. Saw you on BFS.Great find! Hi KIM!! Welcome.. the other regular players will be thrilled to see your shops as I will. All of us can say that since posting our grocery shops have become stable and we have stuck the budget better than we would if we didn’t meet up here and post our shops weekly for review. We help each other out with tips and ideas and once a month I have a draw and pick a WINNER… each week you post your shop you get an entry into the contest. Welcome again and if you are on Facebook please come introduce yourself we talk alot in our group of over 2000. Cheers Mr.CBB!! !